The LX receptors (LXRs) were originally identified as orphan members of the nuclear receptor superfamily because their ligands were unknown. Like other receptors in the family, LXRs heterodimerize with retinoid X receptor and bind to specific response elements (LXREs) characterized by direct repeats separated by 4 nucleotides. Two genes, alpha (LXRA) and beta, are known to encode LXR proteins.The LX receptors (LXRs) were originally identified as orphan members of the nuclear receptor superfamily because their ligands were unknown. Like other receptors in the family, LXRs heterodimerize with retinoid X receptor (see MIM 180245) and bind to specific response elements (LXREs) characterized by direct repeats separated by 4 nucleotides. Two genes, alpha (LXRA, MIM 602423) and beta, are known to encode LXR proteins.The LX receptors (LXRs) were originally identified as orphan members of the nuclear receptor superfamily because their ligands were unknown. Like other receptors in the family, LXRs heterodimerize with retinoid X receptor (see MIM 180245) and bind to specific response elements (LXREs) characterized by direct repeats separated by 4 nucleotides. Two genes, alpha (LXRA, MIM 602423) and beta, are known to encode LXR proteins (Song et al., 1995). [supplied by OMIM]. Western blot analysis of LXR expression in Jurkat cell lysate (Lane 1) and mouse small intestine tissue lysate (Lane 2). NR1H2 monoclonal antibody (M01), clone 2H2-H3 Western Blot analysis of NR1H2 expression in LNCaP ( Cat # L004V1 ). 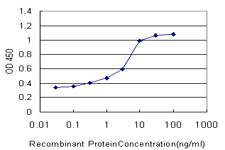 Detection limit for recombinant GST tagged NR1H2 is approximately 0.3ng/ml as a capture antibody. 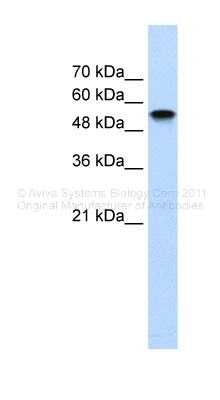 NR1H2 monoclonal antibody (M03), clone 1B6 Western Blot analysis of NR1H2 expression in Jurkat ( Cat # L017V1 ). NR1H2 monoclonal antibody (M03), clone 1B6. Western Blot analysis of NR1H2 expression in PC-12(Cat # L012V1 ). 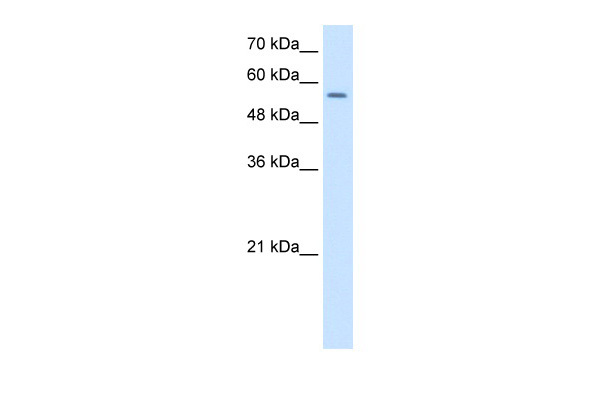 NR1H2 monoclonal antibody (M04), clone 1E1 Western Blot analysis of NR1H2 expression in IMR-32 ( Cat # L008V1 ). NR1H2 monoclonal antibody (M04), clone 1E1. 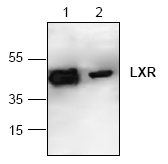 Western Blot analysis of NR1H2 expression in PC-12(Cat # L012V1 ). 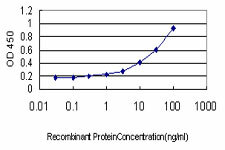 Detection limit for recombinant GST tagged NR1H2 is approximately 0.03ng/ml as a capture antibody. 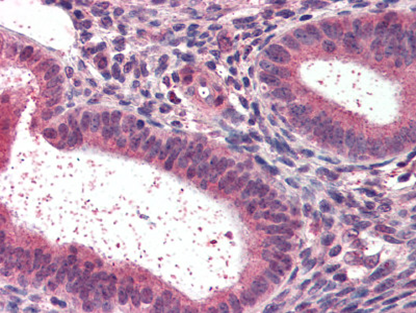 NR1H2 polyclonal antibody ( Cat # PAB6690 ) ( 3µg/ml ) staining of paraffin embedded human spleen. Steamed antigen retrieval with citrate buffer pH 6, AP-staining. 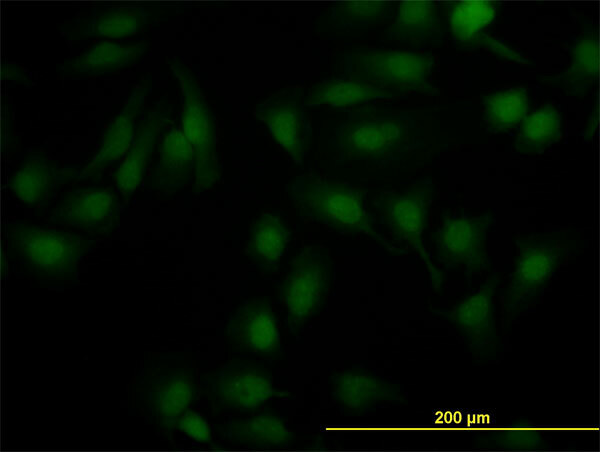 NR1H2 polyclonal antibody ( Cat # PAB6690 ) ( 1 µg/ml ) staining of human bone marrow lysate ( 35 µg protein in RIPA buffer ) . Primary incubation was 1 hour. Detected by chemiluminescence. Western blot analysis of NR1H2 Antibody (N-term) (AP18141PU-N) in HL-60 cell line lysates (35ug/lane). 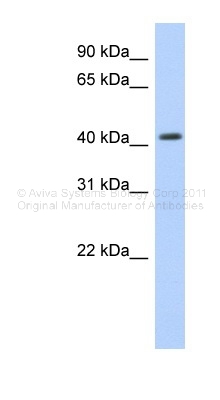 NR1H2 (arrow) was detected using the purified Pab. Human Spleen (formalin-fixed, paraffin-embedded) stained with NR1H2 antibody AP22491PU-N at 3 µg/ml followed by biotinylated anti-goat IgG secondary antibody, alkaline phosphatase-streptavidin and chromogen. Human Uterus (formalin-fixed, paraffin-embedded) stained with NR1H2 antibody AP22491PU-N at 3 µg/ml followed by biotinylated anti-goat IgG secondary antibody, alkaline phosphatase-streptavidin and chromogen. 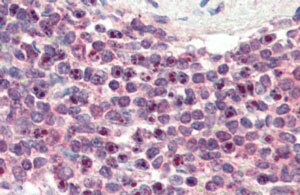 Antibody (1 µg/ml) staining of human bone marrow lysate (35 µg protein in RIPA buffer). Primary incubation was 1 hour. Detected by chemiluminescence. TA302965 (1µg/ml) staining of human bone marrow lysate (35µg protein in RIPA buffer). Primary incubation was 1 hour. Detected by chemiluminescence. 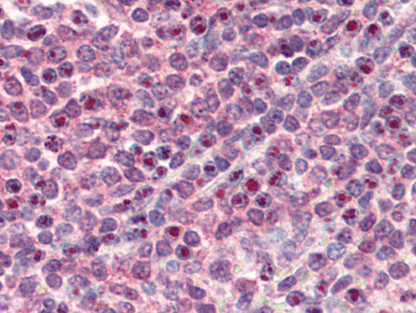 TA302966 (1µg/ml) staining of human spleen lysate (35µg protein in RIPA buffer). Primary incubation was 1 hour. Detected by chemiluminescence. Western blot analysis of LXR-B in human lung tissue lysate with LXR-B antibody at (A) 1 and (B) 2 µg/ml.